Xochitl and I spent the afternoon in Corvallis giving out dollar bills (and high-fives) to people we caught making healthy choices. From drinking water to doing cartwheels, we looked for anyone participating in a healthy activity and handed them a dollar. We appreciated all those people who found ways to stay healthy and active, and were out there doing it. After giving us a puzzled look, most people asked, “But why are you giving me a dollar?” We thought a dollar would be a fun way to reward people for taking care of their health, while making the point that becoming healthier people is something we can all do to bring down the cost of healthcare. Since these efforts can save healthcare money down the road, we wanted to share a sample of those savings. We know we can’t catch everyone who makes healthy choices. (Seriously, we can’t catch up to some of you runners!) So whether you see us out there or not, give yourself a pat on the back for being proactive about your health. Those efforts you make every day to live a healthier lifestyle, no matter how small they may seem, are doing big things to improve our healthcare system in the long run. So far, our team has visited Eugene, Springfield, Portland, and Corvallis, but we’re not done yet! We’ve got more dollars to hand out, and more ideas for how to reward all you go-getters. As we grow older, kindergarten recess gets replaced with high school study hall, then college finals, and finally, a full time job. Through this journey, we sometimes forget about the days when nothing else mattered but going outside, running around and having fun with some friends. 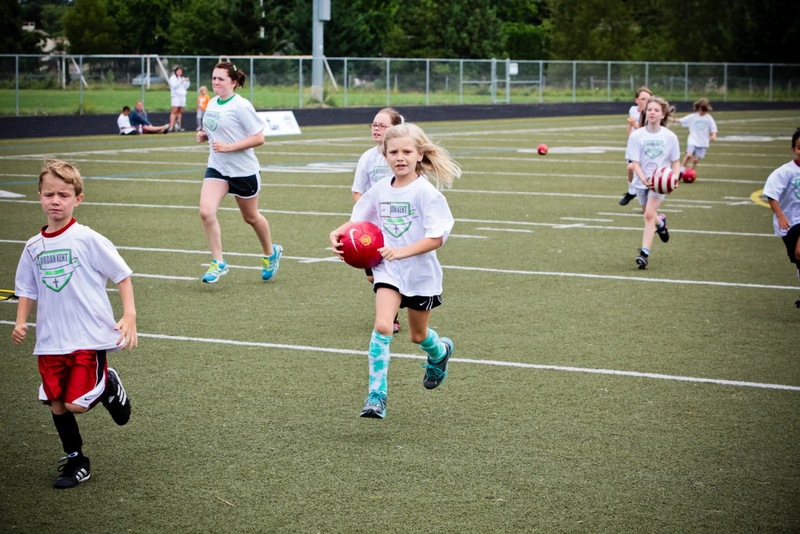 A few weeks ago, I was able to volunteer at the Jordan Kent Skill Camps in Tualatin, Oregon; the experience took me back to my worry-free summers as a kiddo. The camp is put on by Jordan Kent, a former three-sport athlete at the University of Oregon and Seattle Seahawk wide receiver. What makes his camps great and was the driving force behind the PacificSource Healthy Life sponsorship of the camps, is Jordan’s message and examples of how to live a healthy and active lifestyle. The kids learn how to play hard, eat right, and make good decisions while having an awesome time doing it! Every day of camp has a new theme which is reiterated to the campers throughout their activities. During my days of camp the themes were: “Hard Work”, “Perseverance” and “Embracing Failure”. When a camper would miss a basket or not complete a drill properly, Jordan would be right there to drive home the theme of the camp. Jordan and his staff also take time every day to coach the campers on healthy eating habits, providing them with easy information on what foods to include and avoid in their diet. He teaches them the difference between foods like “good carbs” and “bad carbs”, “good fats” and “bad fats” and provides the campers with a healthy snack option every day to show that these choices can be tasty as well as healthy. The highlight of my week came after Jordan decided to make a wager with the campers during their favorite game, “Poison”. If Jordan and the coaches got all of the campers out, they win and coaches rule, but if Jordan and his team didn’t get all of the campers out, Jordan would receive a whip cream pie to the face. I am not going to lie, I was rooting for the kids on this one, and they came through with flying colors (or pies). The faces on the kids were priceless when the pie connected and their smiles got even wider when Jordan chased dozens of kids with pie dripping off his chin. One of the coolest stories from the summer came from a mother, who shared with us how the camp helped her son, who tends to be timid when it comes to participating in sports. 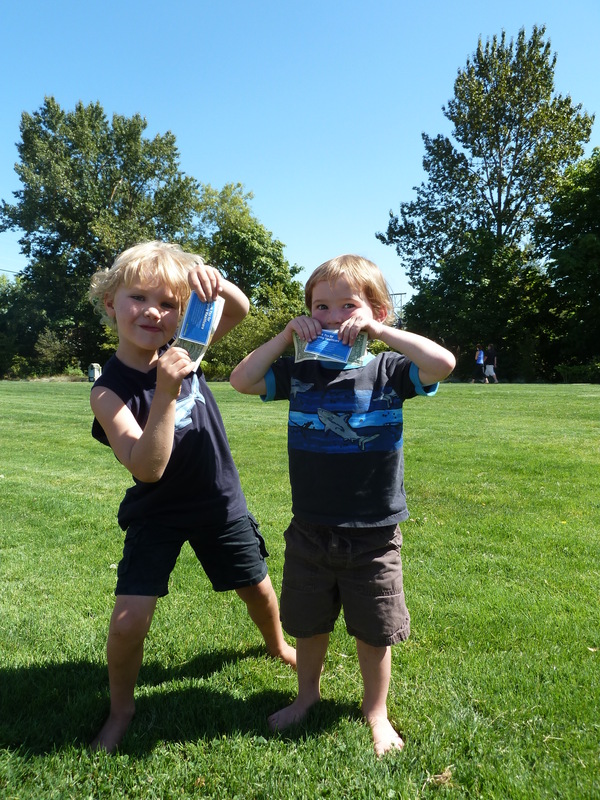 Over the summer, more than three hundred kids, ages 7 to 13 attended the camps in the Eugene and Portland areas. My short time with the campers gave me a chance to remember the fun times of being a kid again, something we should all experience a little more of. If you would like to learn more about the Jordan Kent Skill Camps you can visit their website http://www.jordankentcamps.com/.